Singapore is doing its best to keep the people healthy and fit by banning cigarettes. Smoking was first banned (in selected areas) last 1970. As time goes by, the coverage of the “non-smoking area” is broadened to include shelters, bus terminals, public toilets, hawker centres, entertainment hubs (such as bars, lounges, nightspots and clubs), coffee shops, playgrounds, car parks, factories, shops, fitness centres, shopping malls and many other establishments. However, establishments are allowed to construct “smoking rooms” designated by law. Smokers are vulnerable to different types of cancer. 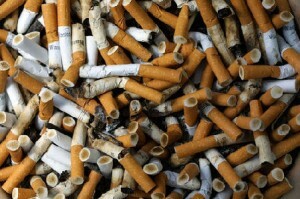 Majority of the smokers suffer lung cancer. Aside from lung cancer, they are also vulnerable to oral, larynx, esophagus, bladder, kidney and pancreatic cancers. If nicotine and carbon monoxide come together, they can cause damage the lining of blood vessels. This can contribute to the development of heart disease. Smoking can cause chronic airway obstruction. Smoking is unhealthy for the smoker and the inhaler. Do yourself and others a favour-stop smoking as soon as possible or suffer the wrath. If you need help, you can consider rehabilitation centres. Smoking is addictive. You should stop before it is too late.